Paint the Towne is bigger than ever! The more the merrier! Paint the Towne can accommodate all of your guest and then some. We are completely handicap accessible. More shelf space = more pottery, more pottery = more fun! There’s something for everyone. 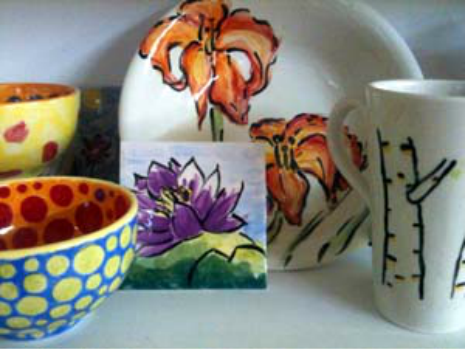 Paint The Towne has over 400 pieces to choose from; including, bowls, plates, mugs, décor, and much more. We offer a variety of classes including canvas, clay, glass and more! Bring your friends and family, and make a one-of-a-kind keepsake! 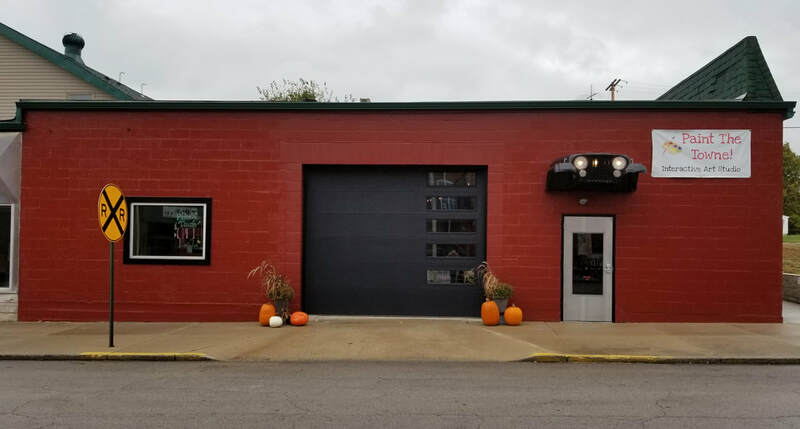 We’re located in the heart of Richmond’s historic depot district, and have staff to help you create whatever you can imagine! Sunday by appointment only for groups of 8 or more painters. Open later for special Depot District events. Browse our website to find out more and see some wonderful pieces made and fun had at Paint the Towne! If you have any questions you can call during regular business hours and a staff member will assist you.